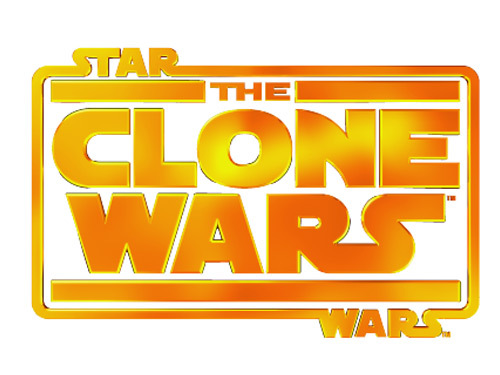 In Season Two of Star Wars: The Clone Wars, creatures range in stature from squirming creepy-crawlies to behemoths the size of starships. We are re-introduced to new variations on old foes and surprised with helpful beasts that are truly bizarre. 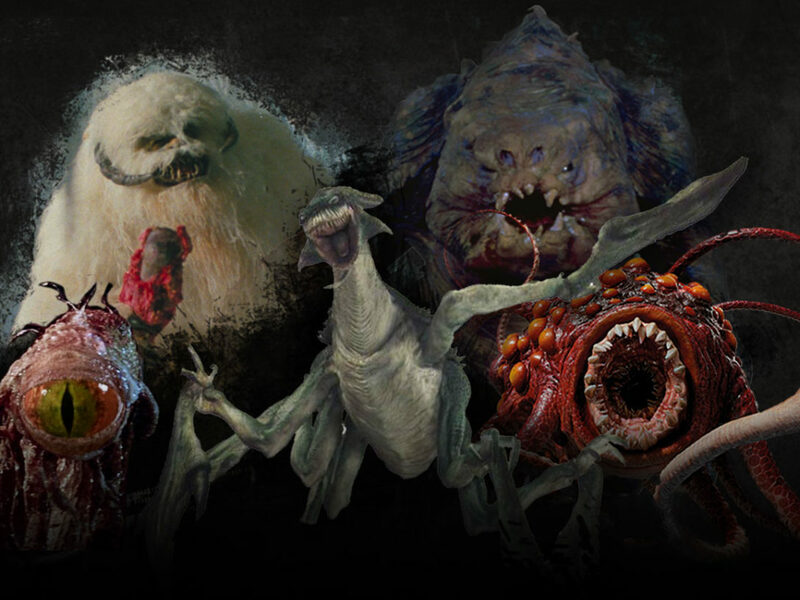 The monsters that follow add to our collection of Season One specimens; coming to us in all sizes, shapes and eating habits. 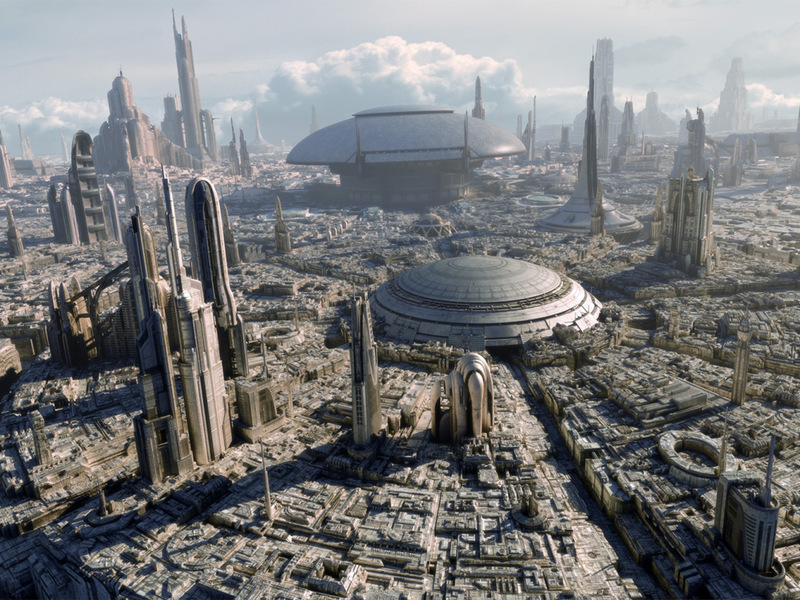 Brain worms are one of the most gruesome organisms to slither their way into Star Wars. 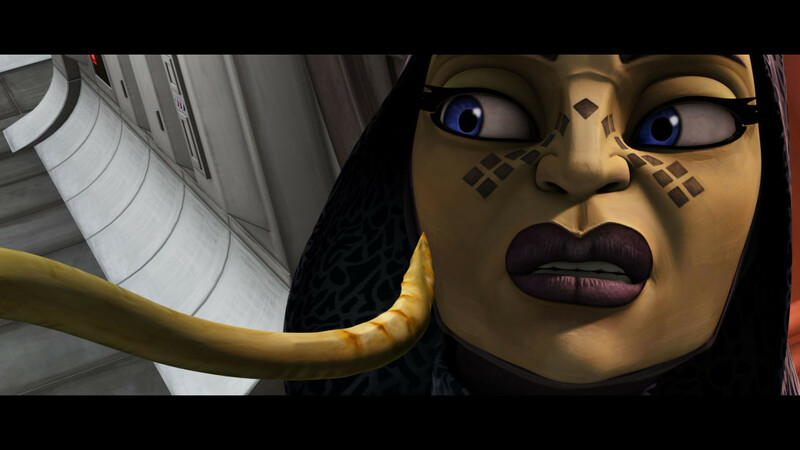 The gargantuan Geonosian queen, Karina the Great (voiced by Dee Bradley Baker), uses them to manage her minions. The yellow worms crawl into hosts via their nose, mouth, proboscis or any other available facial orifice, taking control of their nervous system on behalf of the evil bloated queen. Worse still, the Queen controls armies of undead Geonosians with her worms (or ‘children,’ as she calls them), which she uses to attack invading clone soldiers. When finally confronted by our heroes, Queen Karina hatches a plan to infect not only the clone army, but also the Jedi Order with her diabolical brain worms. The worms appear in two episodes: “Legacy of Terror” (S207) and “Brain Invaders” (S208). The double-feature of catacombs, insectoid zombies, brain worms and the queen’s own giant egg sack makes these some of the creepiest episodes of The Clone Wars. A single reek first appeared in Attack of the Clones. Much like the Skalders of season one, reeks were inspired by a real-world prehistoric animal known as a “Placerias,” though our particular Placerias is also a cross with a charging alien bull. 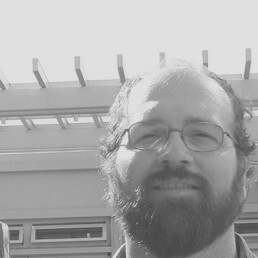 Concept sculptor Michael Patrick Murnane designed the 7-foot-tall creature’s unique horns to meet specific story requirements set by George Lucas for the Geonosian arena battle. Lucasfilm Animation artist Pat Presley later customized the reek to fit the look of The Clone Wars. 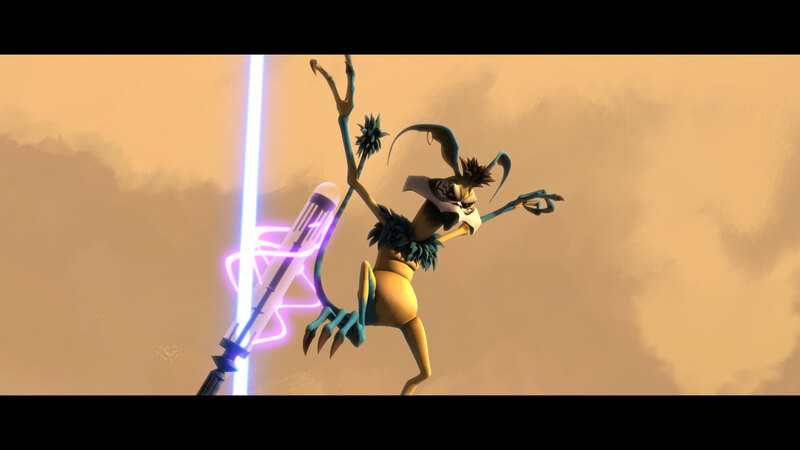 In the episode “The Deserter” (S210), General Grievous crash-lands on the planet Saleucami, where he rides a reek for lack of other suitable transportation. 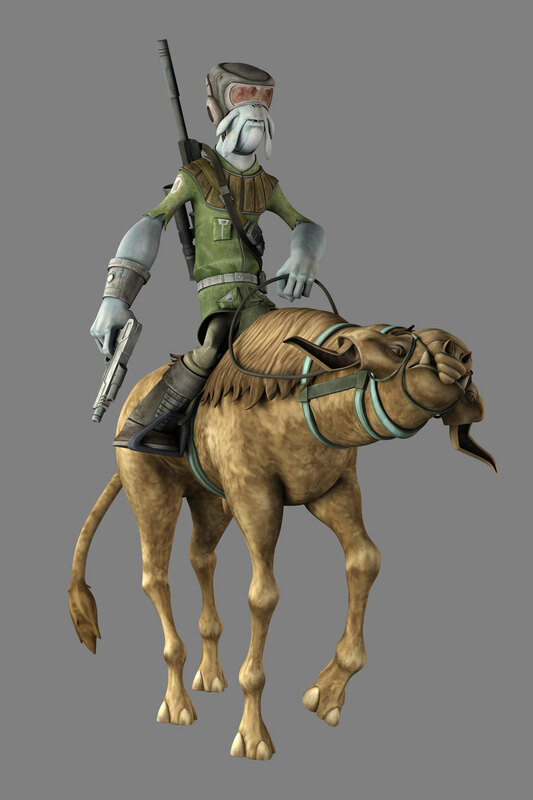 Unlike in the Geonosian arena, here we see the docile side of Reeks. 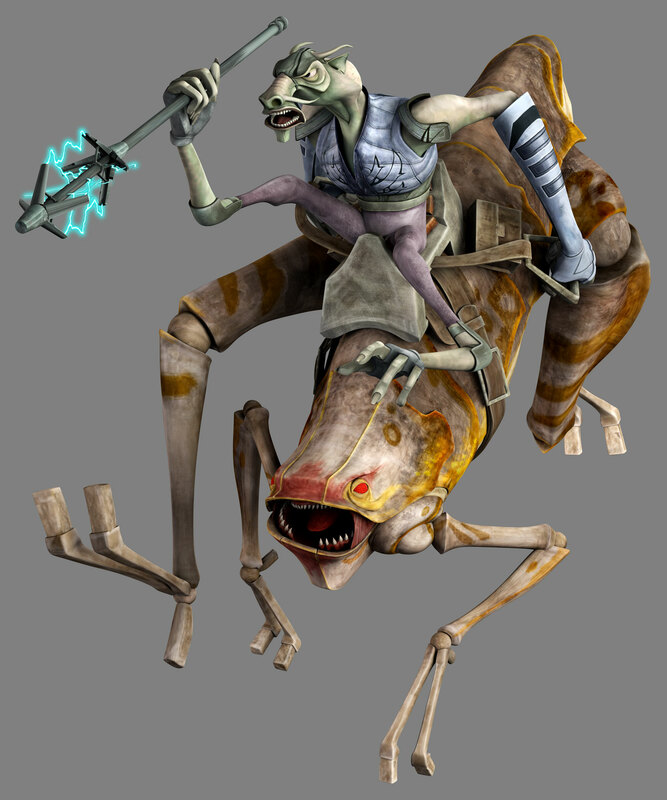 This Reek actually appears quite friendly — even the battle droids complain about not getting a chance to ride one! Sometimes what constitutes a monster depends upon a certain point of view. Though small in size, R2-D2 and C-3PO no doubt thought Kowakian monkey-lizards were horrible little beasts. Jabba the Hutt’s pet, Salacious Crumb, was the first and only monkey-lizard that we encounter in the Star Wars films. He mercilessly harassed the two droids while they were held captive in service to the Hutt. 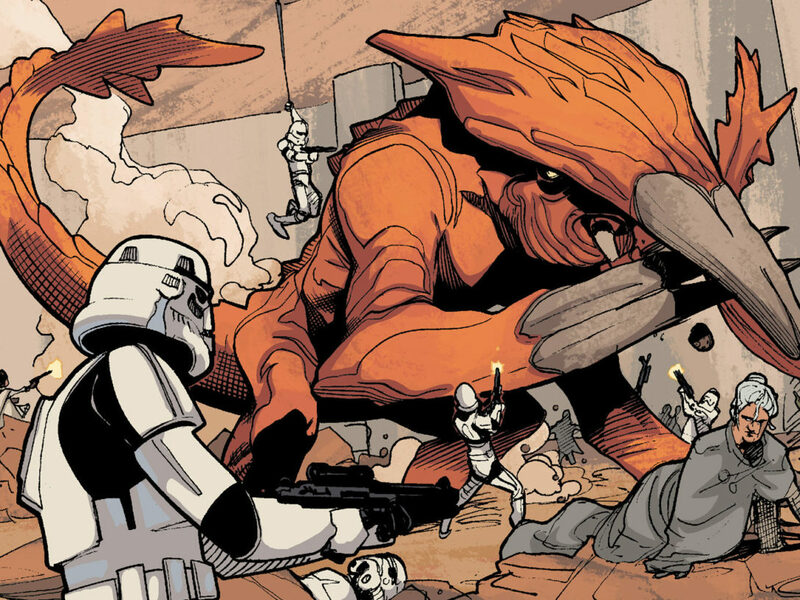 It wasn’t until we later met the pirate Hondo Ohnaka and his monkey-lizards, brothers Pilf and Pikk, that we see the creatures come in not just a drab brown, but also red and green as well as yellow and blue. Monkey-lizards hail from the planet Kowak, though the pet trade has taken them across the galaxy. They are quite clever, and can be trained to serve their master deviously by stealing, spying, and confounding enemies. This makes the mischievous little creeps a particularly desirable pet in the underworld. Pikk, who is blue and yellow and voiced by Matt Lanter, appears in “Bounty Hunters” (S217), “Bound for Rescue” (S508), and “A Necessary Bond” (S509). 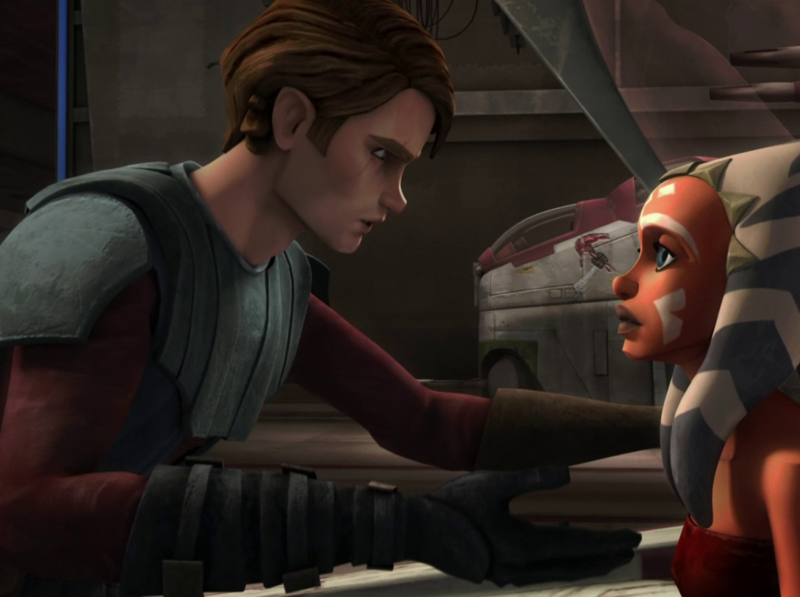 Pilf, who is red and green and voiced by Dee Bradley Baker, appears in “Dooku Captured” (S111), “The Gungan General” (S112), “Bound for Rescue” (S508) and “Revival” (S501). Unnamed monkey-lizard cast members are also seen in “Lightsaber Lost” (S211), “Lethal Trackdown” (S222), “Slaves of the Republic” (S412) and “Escape from Kadavo” (S413). 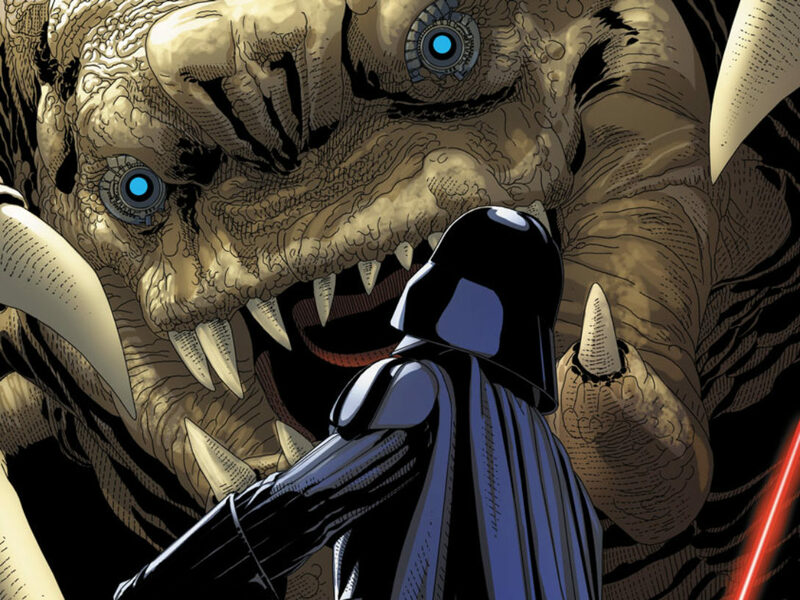 Though various types of rancors had previously appeared in novels, comics and video games, The Clone Wars gave us the first glimpse of a rancor on television or film since the iconic scene below Jabba’s palace in Episode VI. Jungle rancors began as a cartoon version of the classic rancor from Return of the Jedi. 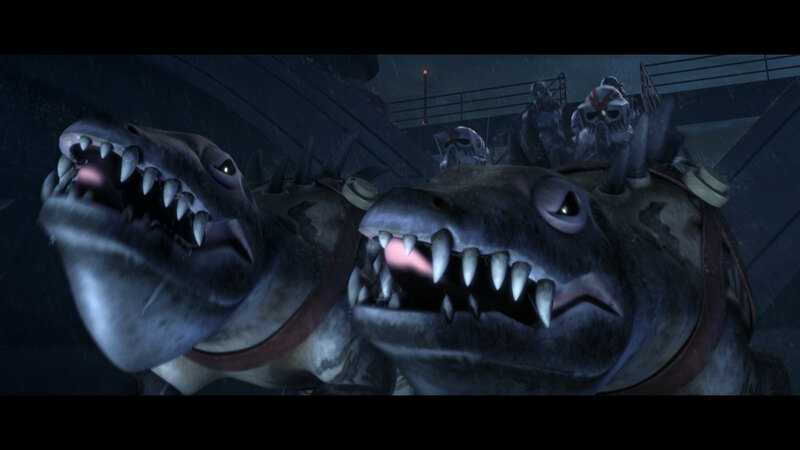 At Dave Filoni’s suggestion, lead artist Killian Plunkett gave this blue rancor a horny shell, developing the creature into a new breed resembling Gamera from the old Godzilla movies. 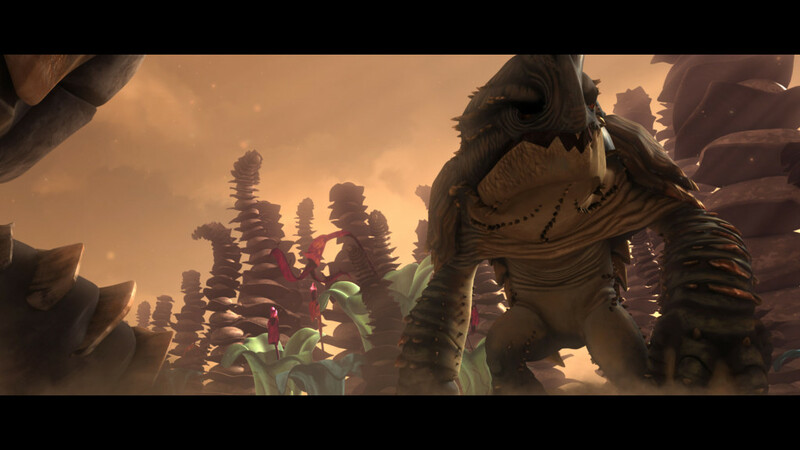 Originally the jungle rancor was developed for a scene on Teth in The Clone Wars feature-film. A dramatic lightsaber duel was staged on top of the rancor, though eventually cut from the final movie (the scene is preserved on Blu-ray however). Though resurrected in season two, these amazing creatures are glimpsed only briefly as they pass by Anakin, Obi-Wan, and Ahsoka in the forests of Felucia, in “Bounty Hunters” (S217). It is notable however that here we see wild rancors traveling as a family unit in their own native environment. Having lived their lives outside the confines of gangsters’ dungeons, they have probably never even tasted the delights of a plump Gamorrean guard. Tee-muss are tall pack-animals first seen in “Bounty Hunters” (S217). Felucian natives use them to work their nysillin farms under the shadow of Weequay pirates. Tee-muss are a unique combination of earthly features: they have long legs like a horse; a broad head, shoulders and set of horns like water buffalos; and a small prehensile snout like a tapir. Their calls can be heard across long distances, making them an ideal transmitter for warnings and other signals. Tee-muss are renowned as faithful and hard-working animals, thus they have been introduced to many planets. 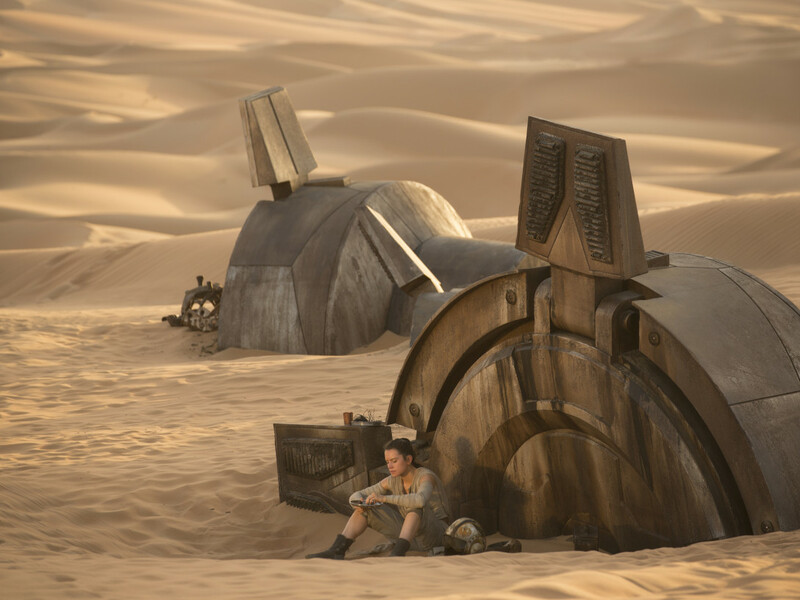 They are easily spotted on Balnab, Florrum and Onderon, as seen in “Nomad Droids” (S406), “A War on Two Fronts” (S502), “Front Runners” (S503), “The Soft War” (S504), “Tipping Points” (S505) and “A Necessary Bond” (S509). Zillo Beasts once roamed the planet of Malastare, where the 300-foot monsters reeked havoc upon Dug inhabitants. The Dugs thought that Zillos were now extinct, but during a Republic weapons’ test an underground cavern was exposed where the last enormous Zillo Beast remained dormant… until now. The idea for the Zillo Beast came directly from George Lucas. 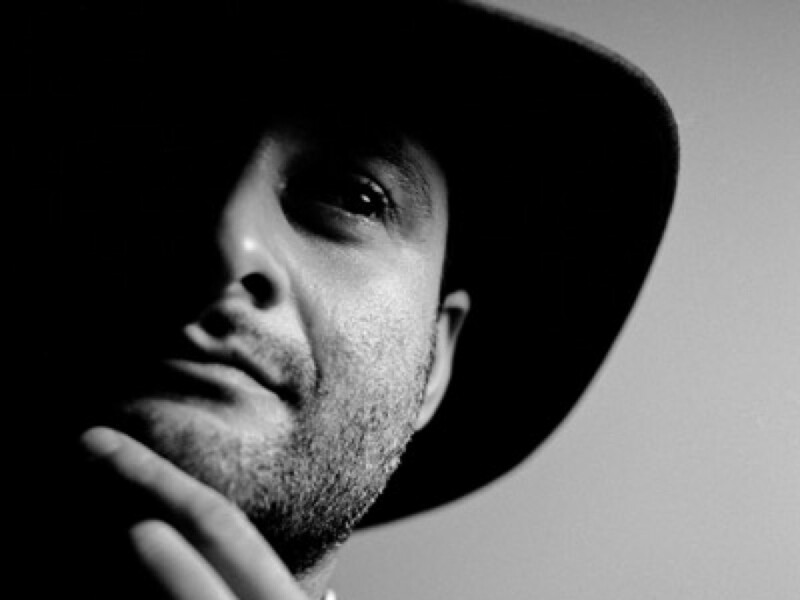 With inspiration once again from Godzilla movies, Dave Filoni drew up the first sketch, which was later refined by Lucasfilm Animation artists Randy Bantog and Le Tang. The beast has an unconventional anatomy with three forelimbs and three hindlimbs, cartwheeled around a long trunk and tail. 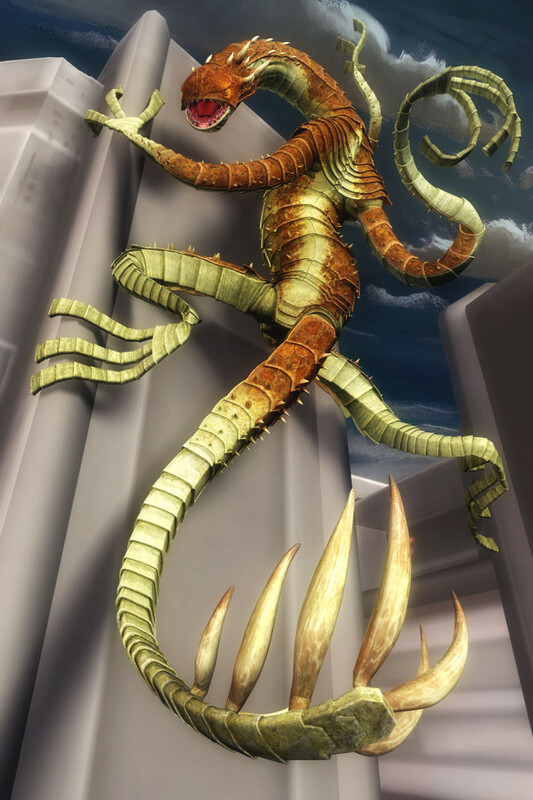 The monster incorporates traits of both a lizard and a worm. The Zillo is boneless, which allows its flat limbs and tail to wrap around objects in any direction. It’s scales are impenetrable — even by a lightsaber. 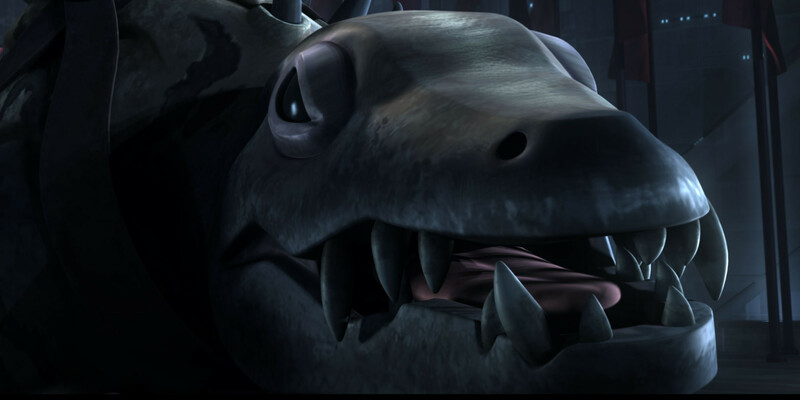 Together with its immense size, the combination makes the Zillo Beast one of the most formidable creatures in Star Wars. 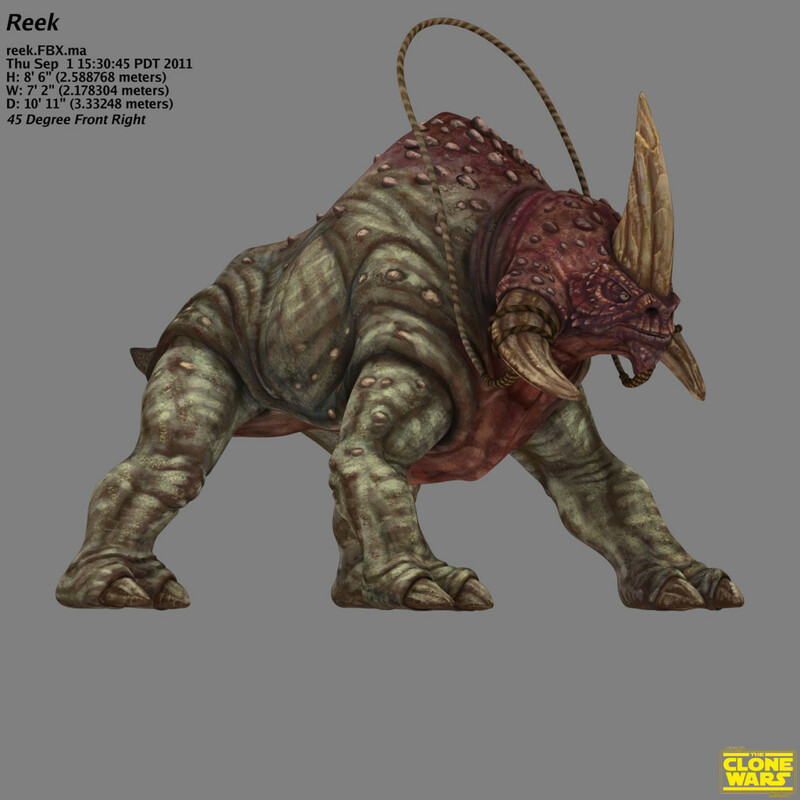 Developed for Episode II, massiffs were originally supposed to be orrays (the beasts ridden by Geonosian picadors). Such shuffling happens often in movie-making. George Lucas thought massiffs were too imposing as a beast for riding, so they were altered for use elsewhere in the film. Thus artists Michael Patrick Murnane and Robert E. Barnes shrunk the massiffs down to the size of wolves, gave them a mane of spines and larger eyes, and placed them on Tatooine instead. In-universe, massiffs are fierce animals that hunt in packs but they can also be trained as loyal watch dogs and trackers. They have been domesticated by many cultures, from Tuskin Raiders to Geonosian drones, and even Republic clone troopers. Massiffs can be seen in “Lethal Trackdown” (S222), “Tipping Points” (S505), “A Necessary Bond” (S509) and “The Jedi Who Knew Too Much” (S518).